Klassik Studio. 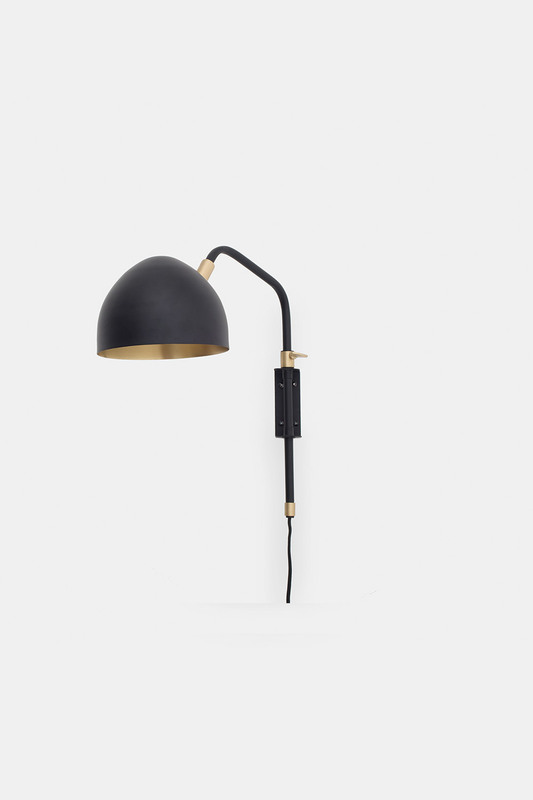 The materials are solid brass with wall plate in iron. 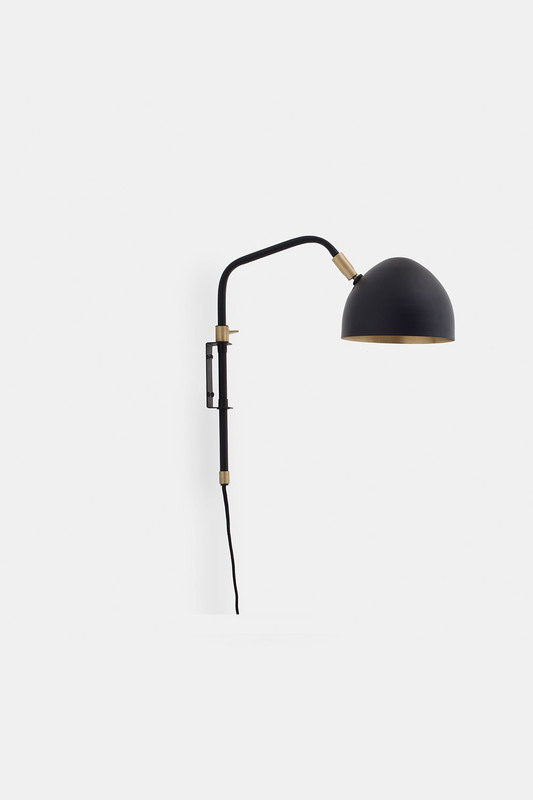 The wall lamp matt black with black fabric wire.